Client anger is a perennial problem for a range of professionals working in clinical settings. 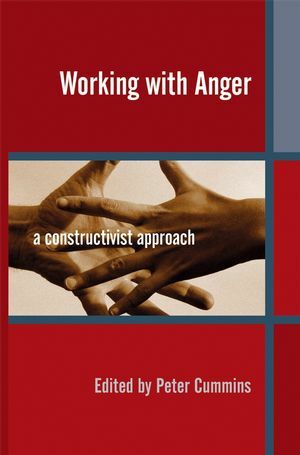 This practical volume will enable clinicians to set up, run and evaluate their own anger programmes using the constructivist approach. It will therefore be a valuable resource for professionals such as clinical and forensic psychologists, psychiatrists, psychotherapists, nurses and social workers. Peter Cummins Trained in Clinical Psychology at the Crichton Royal Hospital in Dumfries, Scotland, from 1974-76. There he was introduced to Personal Construct Psychology by his new head of department, Millar Mair. He has been involved with PCP ever since. He went on to train in Personal Construct Psychotherapy at the Centre for Personal Construct Psychology in London, gaining his diploma in PCP Psychotherapy in 1988. He has worked within the British NHS since 1976, at Bexley Hospital, then Maidstone and since 1995 he has been Head of Adult Psychological Services in Coventry. All his clinical work has been with working-age adults. For the past eight years he has specials in working with angry and violent people who have managed not to be sent to forensic services.